A group of musicians from Grampian Police Scotland Pipe Band used pedal power to raise funds for new instruments which could help to re-establish them as the top pipe band in the North. More than 15 members took part in a cycle ride at the weekend from Aberdeen’s Duthie Park to Banchory and back to give their funds a much-needed boost. Organised by side drummer, Mike Duncan and tennor drummer, Shona Brown, around £2,000 has been raised so far from the 38-mile trip along the Old Deeside Railway Line. The cash will go towards buying top of the range drums in the coming months. The pipe band is made up of police officers, support staff and members of the community from across the region. 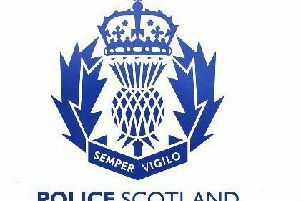 Led by Pipe Major Pamela Whyte and leading drummer Nicky Gibson, it was formed in 1907 as Aberdeen City Police Pipe Band but changed names in 1975 after Scottish North Eastern Counties Constabulary merged to form Grampian Police. Over the years it has been considered one of the world’s top pipe bands competing at grade one status and picking up numerous prestigious accolades at local and major competitions. It is currently playing at grade two status but has ambitions to move higher. Blair Milne, a piper for 16 years and Pipe Sergeant said: “The cycle ride was a fantastic way to raise additional funds for the band. “We had mixed weather but thankfully managed to battle through the elements and complete the 38 mile route in good time. “There were a few grazed knees by the end and I’m sure there’ll be some aches and pains in the days to come. The band came 11th in the recent European event held at Grant Park in Forres and is set to compete in the Scottish Pipe Band Championships on July 30 in Dumbarton.